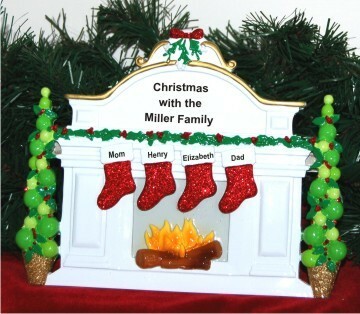 Beautifully designed and crafted by hand, the Christmas mantel: 4 grandkids love to grandparents tabletop personalized Christmas ornament will be a sure success this season! These are lovely grandparents ornaments personalized in a pretty, hand-lettered font. Share the holiday joy this year with one of our prettiest tabletop ornaments, the Christmas mantel 4 grandkids love to grandparents personalized tabletop ornament that will brighten any flat surface in their home. Enter up to 30 characters. Gift to my parents with kids... Dec 18, 2014 Lori T.